Go in search of the Royal Bengal Tiger on jungle safaris on this 4-day wildlife tour to Tadoba Tiger Reserve, India. Head out on extensive jungle safaris, spot resident wildlife, and stay close to the heart of all the action! Start your tiger tour by exploring the beautiful surroundings of Tadoba Tiger Reserve on a nature walk and see interesting birdlife and butterflies. 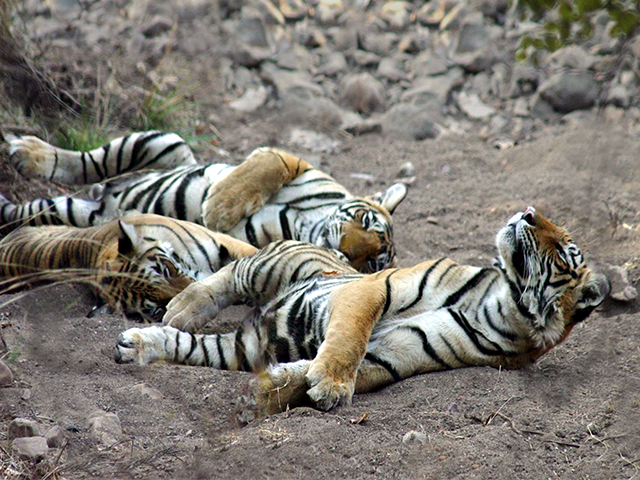 This exciting Indian wildlife holiday takes place at Tadoba Tiger Reserve located in Maharashtra, India. Arrive at Nagpur Airport and be transferred to Tadoba via road. It is estimated that over 50 Royal Bengal Tigers reside within this tropical dry deciduous forest. Once you have settled into your camp, Serai Tiger Resort, spend the evening spotting birds and butterflies in the resort grounds, adjacent to the Reserve. 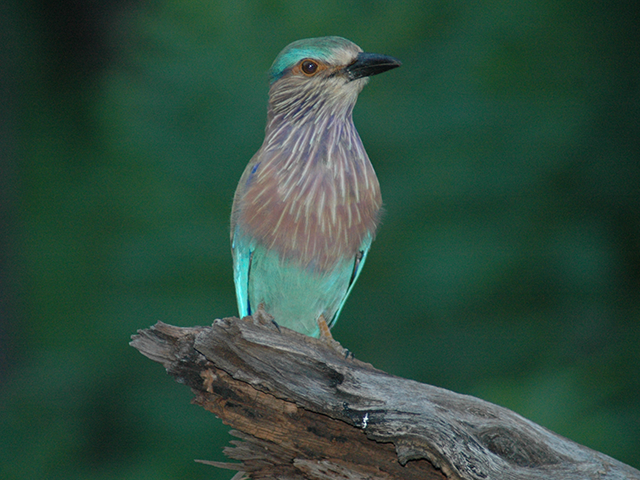 Tadoba is a birdwatcher’s paradise with 195 species found here including many water birds and raptors. Look for grey-headed fish eagles, crested serpent eagles, changeable hawk-eagles, black-naped blue flycatchers, lesser golden-backed woodpeckers, and paradise flycatchers, amongst others. Also see many of the 74 species of butterflies that have been recorded her, including pansies, monarch, mormons, and swordtails. Return to the eco-friendly Serai Tiger Resort for the night. This tented resort, located just on the fringe of the reserve, exclusively caters to serious wildlife lovers and nature enthusiasts. 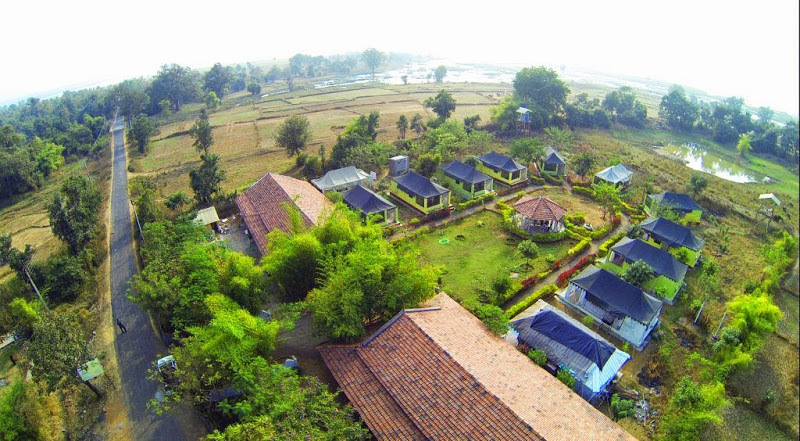 The camp spreads over a vast area and its surroundings are dotted with many natural water sources that attract sloth bears, gaurs, wild dogs, leopards, and even tigers! All tented accommodation is air-conditioned and comes with en suite facilities. Go on morning and afternoon jungle safaris in Tadoba to look for leopards, sloth bears, gaurs, striped hyenas, and the Royal Bengal Tiger amongst other wildlife at the Reserve. Spend the next two days going on morning and afternoon game drives in Tadoba Tiger Reserve. Apart from the Royal Bengal Tiger, look out for mammals like leopards, sloth bears, gaurs, striped hyenas, jungle cats, and sambars. Some of the reptiles you can see here include marsh crocodiles, Indian pythons, Indian cobras, and Indian star tortoises. Birdwatchers can once again look for the many bird species present within the park. After action-packed days of exciting jungle safaris and photography your tiger safari holiday ends today with a transfer to Nagpur Airport.